user warning: Can't create/write to file '/tmp/#sql_3927_0.MYI' (Errcode: 28) query: SELECT t.*,v.weight AS v_weight_unused FROM term_node r INNER JOIN term_data t ON r.tid = t.tid INNER JOIN vocabulary v ON t.vid = v.vid WHERE r.vid = 436 ORDER BY v.weight, t.weight, t.name in /home/forge/coloradortl.org/modules/taxonomy/taxonomy.module on line 640. * Excerpt from the Dynel Lane Arrest Warrant Affidavit: The following image is from the Probable Cause Arrest Affidavit for Dynel Lane in the Boulder County arrest report, page 5. 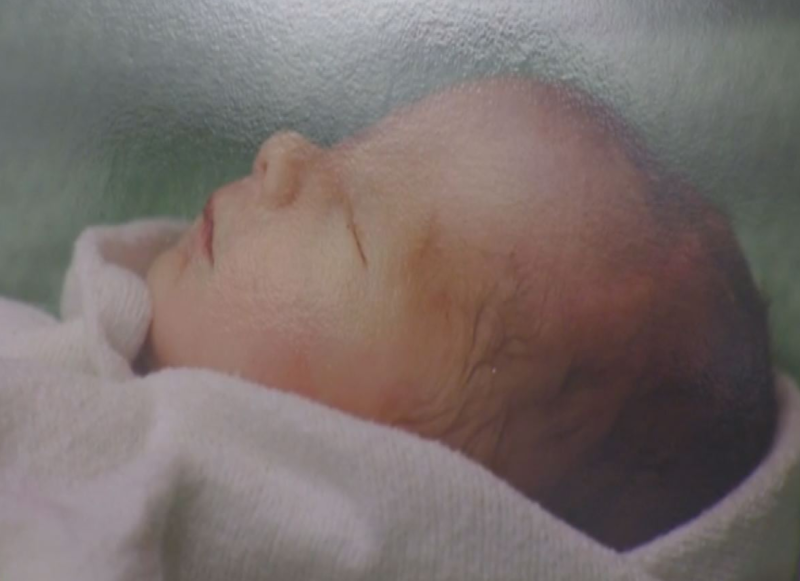 * A Tragic Example of Struggling and Alive but Not Breathing: Here's a little one much younger than Baby Aurora, but this 2-minute video, terribly difficult to watch, will help some people understand what it means to be alive outside of the womb though not breathing. Regarding Michelle Wilkin's baby Aurora, on May 15, 2016, 9News wrongly implied that not meeting a legal definition for "person" equates to "dead". We wrongly extrapolated from the coroner's report and claimed that Aurora was found "dead in the bathtub." The prosecutors did not file homicide charges because of testimony that Aurora did not take a breath. But that does not discount the arrest warrant affidavit which states that "David [Ridley] found a small baby [and] rolled it over to hear and see it take a gasping breath." Regardless of Colorado law, it was incorrect to describe Aurora as "dead" when she was found. #BabyAurora gasped for air ~ are you re-writing history? @Leslieforlife no re-writing here. that was the original report which the coroner later said was not accurate. she never took a breath. @Leslieforlife I'm familiar w the original story. I reported it based on what was said. we don't change the story - just report facts. Bolton of course would not describe all the babies born in the maternity ward in Longmont United Hospital as "dead" until they took their first breaths. And 9News interviewing a pregnant woman wouldn't ever refer to her unborn child as "dead" just because it hadn't yet taken a breath. 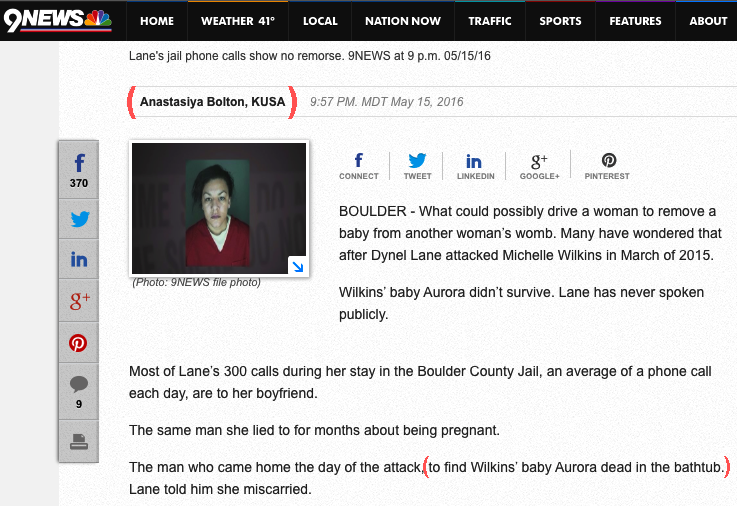 Clearly, Bolton feels better about reporting that Aurora was not a person by thinking of the girl as dead. But she was not dead. She was killed... that girl who was not a person.